I spend a lot of time watching YouTube in my post-cable life. This is how I was introduced to “Booktube”, and what really got me back in to the world of books. Anyone who spends any time with Booktube knows that it heavily favors the young adult genre, which isn’t something I spend a ton of time with. I prefer to watch Booktubers that mix in adult novels as well, but through my time with these channels, I couldn’t avoid hearing about Simon vs. the Homo Sapiens Agenda by Becky Albertalli. If I remember right, I first heard of this thanks to the film, Love, Simon, which came out in March of last year. The audiobook happened to find itself as a Daily Deal on Audible last October, so between the hype of the novel, and the positive buzz about the film, I decided the $3 would be worth me trying out a genre I’m not super familiar with. When my sister mentioned that she watched the film and really enjoyed it recently, I remembered I owned it. I decided to give it a shot for something light-hearted after a rough, true crime outing, and it was exactly what I was looking for. 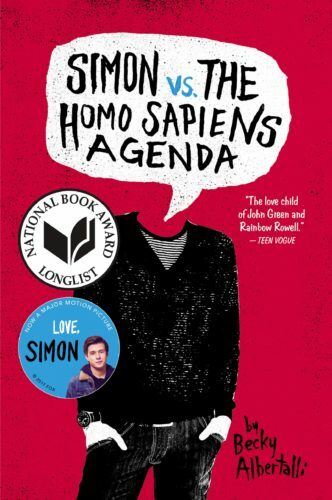 Simon vs. the Homo Sapiens Agenda follows the titular 16-year old Simon Spier, and his coming-of-age tale as a closeted, high school kid in Georgia. Simon meets an anonymous guy online, known only as “Blue”, and they happen to go to the same high school. Neither knows who the other is as they hide their true identities, but it’s clear that they are falling more for each other with every email that they share. We pick up with their story on the day that Simon neglects to sign out of his Gmail account, and it falls into the wrong hands. Another classmate, Martin, logs on to find Simon’s hidden world, and decides to use this information to blackmail him. 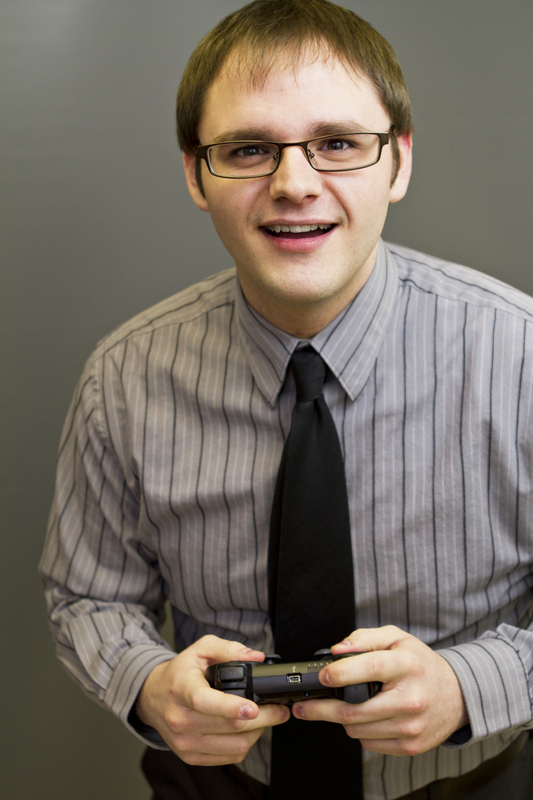 Martin happens to have a crush on Simon’s close friend, Abby, and suggests that he will keep this information a secret as long as Simon does what he can to make Abby fall for him. Simon, placed in a bad spot, decides he has no choice if he wants to protect Blue, so he reluctantly plays along. The real driving factor behind Simon was in discovering Blue’s true identity. At least it was for me, as I could barely stop listening to this audiobook until things were finally revealed. It almost felt like a completely non-traditional whodunnit, and this was what kept my interest. Our main character, Simon, was a wonderfully likeable young man, and his friends seem like genuinely good people, so spending time with all of them was a lot of fun. Watching Simon navigate his conscience and his secret life was exciting, and every decision he made in his “coming out” journey was heartfelt and genuine. The emails that Blue and Simon share are sweet and revealing, and often made me laugh out loud. This is another book where the relationships really drive the story forward, and it works really well. Michael Crouch’s narration was strong, too. He has a great grasp of the character, and his voice fits the role. This is no fault of Crouch, but something that was rather annoying in the audio version of this book was the way emails were handled between Blue and Simon. Every single email started out with “To Blugreen118@gmail.com. From hourtohour.notetonote@gmail.com. Date: December 1st, 2016. Subject: Regarding, the Coming Out Thing. Dear Blue..”. The narrator reads all of this on every single email, and it starts to get laughable about three messages in. The thing is, the book is formatted in such a way where every second or third chapter is usually an email exchance between Simon and Blue, so we hear these email addresses, and these dates and so on, spoken out loud a ton, which is rather tedious. Again, this is not a fault of the book, or of the narrator, it is just a word of warning to those looking to pick-up the audiobook of this rather than a printed version. I’m twice the age of the kids in this book, and I still fell for the love story being told. It just felt genuine, innocent, and sweet, which is exactly what I was hoping for. This is a quick read, and one that I couldn’t keep contained to my car rides to and from work. I ended up listening to the final three-plus hours of the book in bed because I was hooked on the mystery of it all, and couldn’t wait to see how Simon handled his next situation, which would result in him maturing as a character, one way or another. I enjoyed Becky Albertalli’s novel more than I thought I would, and I definitely see myself spending more time with similar titles in this genre. I have to check out Love, Simon next to see how this story – which is really an internal struggle for the main character – translates to a visual medium. That said, if you’re looking for a light-hearted, young adult romance with LGBTQ characters, you can’t go wrong with Simon vs. the Homo Sapiens Agenda.